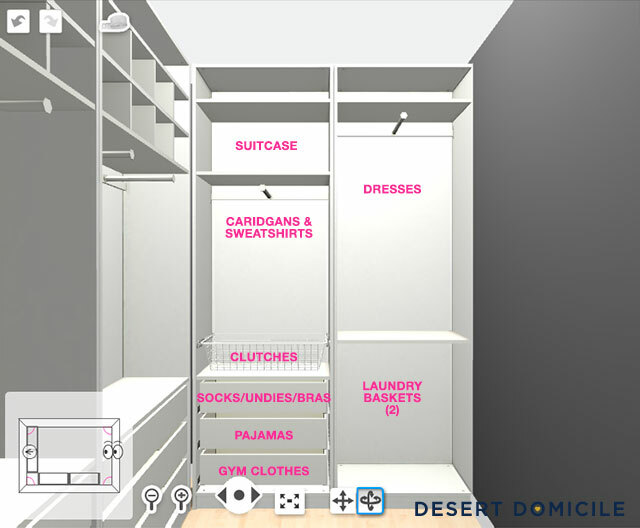 When we revisited our master closet plans, we started looking around at all of the different closet companies that are out there (California Closets, Easy Closets, Elfa from Container Store, etc.). None of them offered exactly what we wanted and most of them were over our budget so we took a trip to IKEA to check out their PAX line. 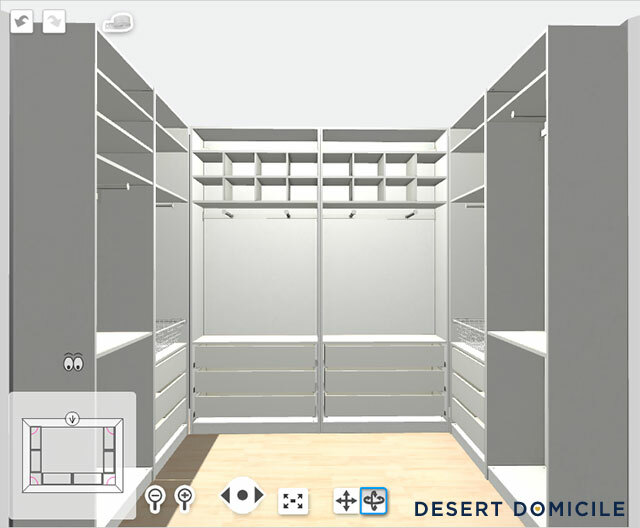 We loved how customizable everything was and how the closet could grow with us overtime with the addition/subtraction of different components. 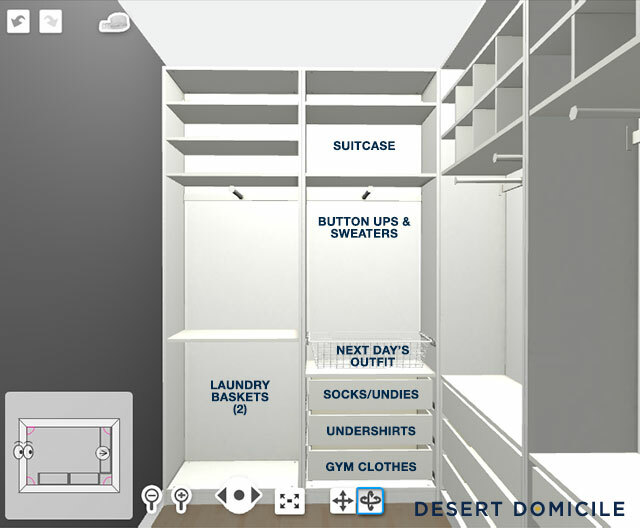 When we got home, I took the measurements of our closet and used IKEA's PAX Planner to plot out the layout so I could visualize everything a little better and to see how much everything was going to cost. You might notice that we have some dead corner space. IKEA does offer a corner cabinet but it's not customizable and we didn't like what it came with (two shelves and two hanging rods). 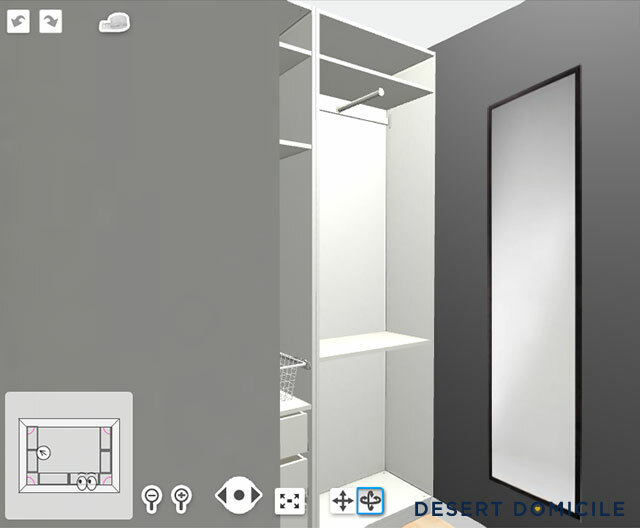 Also, when we tried to fit two of them in our layout, we could only fit one wardrobe on the back wall with two smaller wardrobes on the left and right walls which left a lot of gaps in between everything. The dead space layout we ended up with actually gave us more storage than the one we put together that utilized every square inch of space! Our old closet’s system lacked a lot of concealed storage so we wanted to include as many drawers as possible. 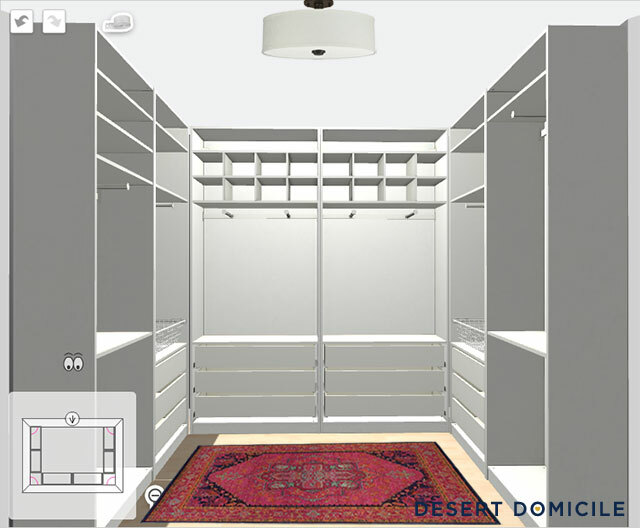 I included some cubbies above the front-facing, pull-out hanging rods so I could store my handbags and shoes and my husband could store his hats and whatever else he wants. All of the marked areas will probably change as we bring stuff in and start using the closet. 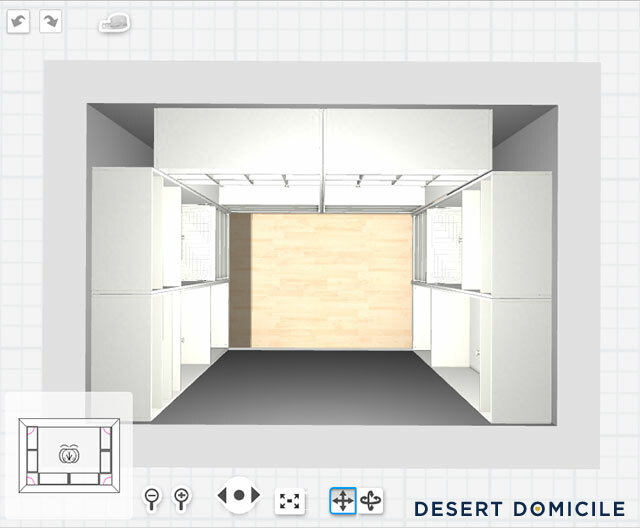 All of the unmarked areas are extra storage spots we included for extra things we may not have thought of to store before. It looks great in the mock up since there’s nothing else in the space but I think it’ll be too much once everything is brought in so I’m on the hunt for something a little more neutral. We've set up an assembly line in our dining room and have been putting together everything over the past week. We're hoping to paint and install it all this weekend! Please share with us your budget and cost for this....and how long it took you all to put together. Plus thanks for the IKEA disclosure you totally read my mind!! Our total came to a little over $1,200 (not including tax). We received a $400 gift card as a wedding gift so we put that money towards our purchase which brought our total out-of-pocket amount down to ~$900 after taxes. We haven't finished putting everything together yet, unfortunately. I just finished putting all of the small drawers together last night (they take about 5 minutes to put together once you get the hang of things) and plan on finishing the larger drawers tonight. Everything else (the hanging rods and baskets) is really easy to put together! 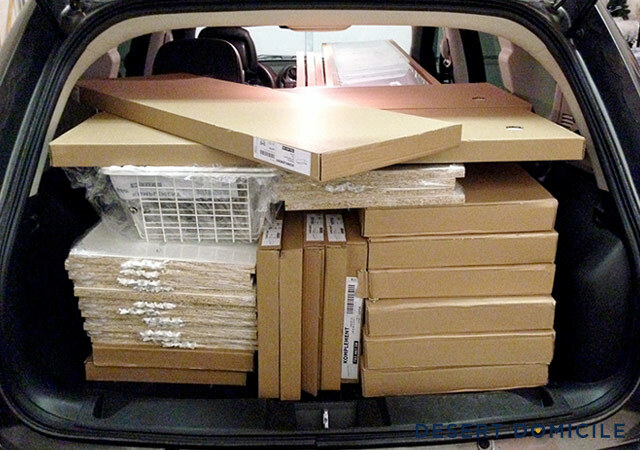 Is it weird that I think it sounds fun to have an empty closet and 50 boxes full of Ikea stuff to assemble for in there? Exciting! I need to try out that planner! I'd be interested to see what I could fit into my teeny tiny closet! 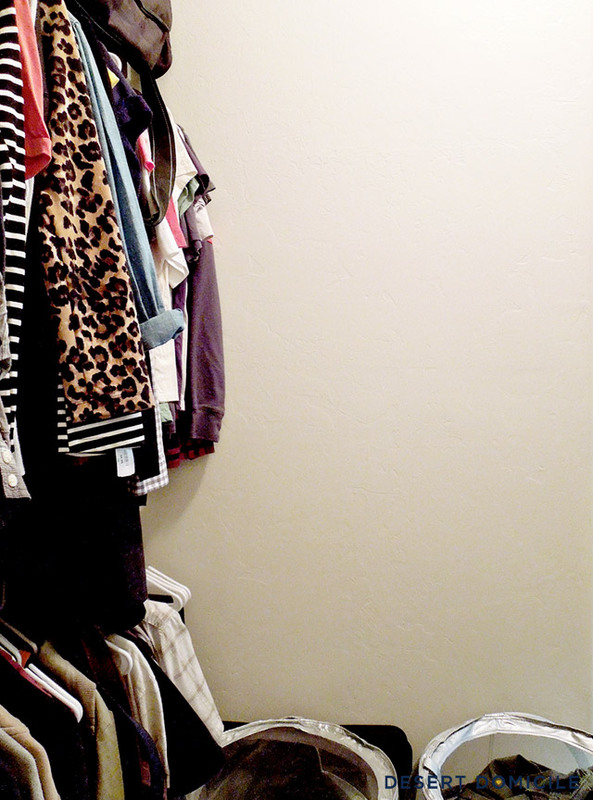 Your closet looks wonderful with tons of space! 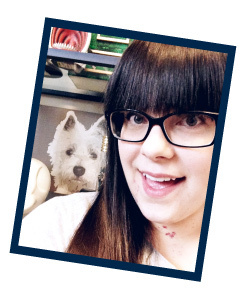 I had the PAX wardrobe in my old apartment where all my closets were child-sized (it was an attic floor). I loved it! The drawers were my favorite, especially when I bought these fabric-covered jewelry trays (they were from TJ Maxx, but I see them everywhere) and put them in one drawer, turning it into my jewelry drawer. It made my life easier to pull out one drawer and see all my jewelry in one spot. I miss that drawer constantly! I need to figure out how I can bring it back into my bedroom today! I have been anxiously awaiting the final post. Did I miss it? !